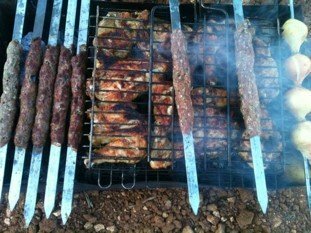 On Saturday, my friend Farid, who is part of a Druze community in Haifa, took me to a campground to barbeque with his friends. Before we left, we stopped by a local butcher where we bought several different types of meats. The butcher worked out of his garage, but all of his meat was extremely fresh and quite cheap as well! We arrived at the campground, lit the coals and began to cook. By then I was famished, and the smell of kebabs, steaks and rich Mediterranean spices sizzling on the grill nearly killed me! At last, the meat was ready. Everything tasted incredible. 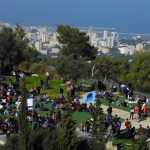 As we ate, we talked and laughed and enjoyed a beautiful day on Mount Carmel. On Sunday, my class on Jewish Nationalism and I embarked on an academic tour with our Professor, Mr. Neeman. 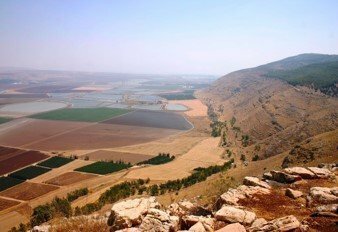 We traveled to a kibbutz and a hill overlooking the northern end of the West Bank, but I was most impressed by our stop atop the Gilboa Mountain Range. From our position, we could see all across northern Israel to the Golan Heights and vast stretches of historic Kibbutz farmland. 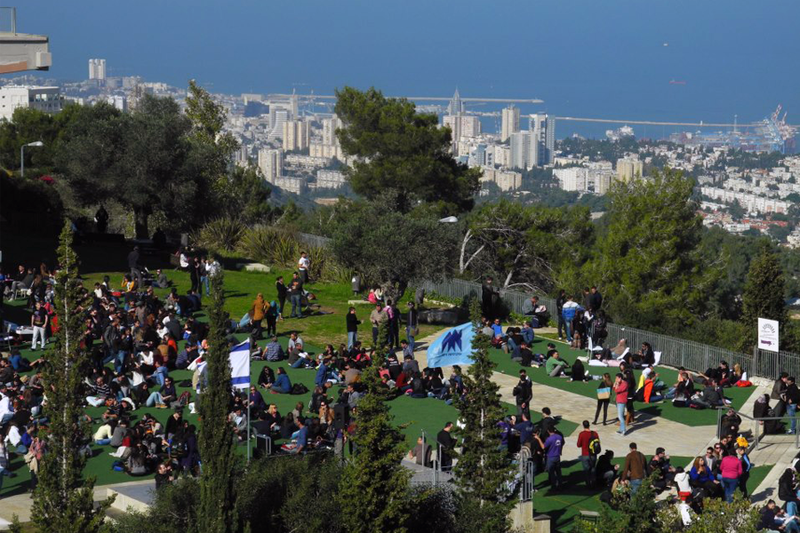 Throughout the tour, we discussed the significance of certain locations and their relationship to Zionist settlers during the mandatory period in Palestine. As always, Mr. Neeman did not disappoint. On Tuesday night, students from the international school accompanied our wonderful Madrich, Megan, to Haifa’s beaches for a goodbye dinner party. Megan was enlisting in the army on Wednesday. We brought dips, pita, hummus and hamburgers and hot dogs to grill next to the water. But Alas! In his state of deep depression (induced by the prospect of losing his fellow Madrich and partner in crime), Alon forgot the charcoal! Moreover, we didn’t have lighter fluid to prepare the charcoal with! At this point, I took it upon myself to assume the position of grillmaster. Alon went to the store to buy charcoal and within an hour I was flipping patties and serving my ravenous peers. The night was not a total disaster, after all. Good luck Megan!